This ultra-small managed layer 2/3 switch module measures Only 84 x 55mm / 3.3 x 2.2 inches, and is a great fit for real-world computing solutions in a range of industries including space-critical applications in drones, vehicle and other harsh environment applications. 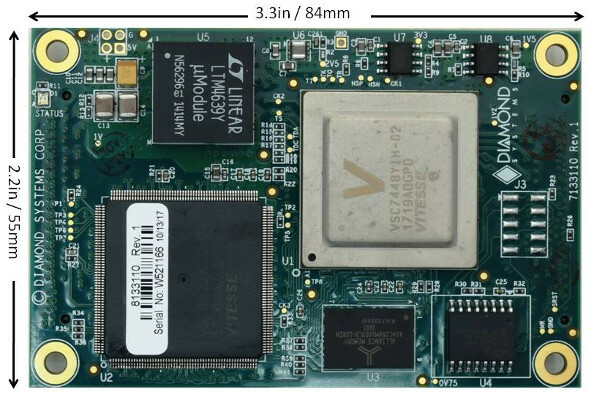 Like a Computer-on-Module, the module is intended to be mounted on a carrier board which enables customers to quickly design Ethernet switching solutions. EPSM-10GX is supplied with all required firmware pre-installed and pre-configured. This entry was posted on Friday, February 23rd, 2018 at 12:33 pm and is filed under Advertiser, News.